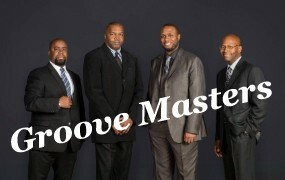 Groove Masters band is headed to the TGIF stage on Friday, June 1st! Bring your chair or blanket and enjoy this free performance on the Historic Courthouse lawn. Food and beverage vendors open at 6:00pm with a range of tasty treats and scrumptious specials. Music kicks off at 7:00pm. In addition to all the great music and food, come out to the first TGIF Cruise-In of the season. Cruise-Ins are brought to you by the Morganton Motor Club.